Jayden and his sister Nicole searched for something familiar. No hotels. No boats. No Mom. No Dad. How did things go so wrong? Moments ago they were scuba diving with their parents. Suddenly they're alone on a deserted island. Or are they? In this world with talking sea creatures and trash monsters, they discover the truth about ocean garbage patches. ISBN 1-57635-065-2 #52 We're All Moving! From the incredible imaginations of sixteen young authors from across the country comes this story about dried up food coming to life, leading 10 year-old twins Brian and Jackie on an adventure in search of water. The lessons learned along the way help everyone learn more about conserving one of Earth’s most precious resources. Sponsored by Ewing Irrigation, this entertaining book is a valuable tool for educating children and adults alike about the importance of water conservation. De la increíble imaginación de dieciséis jóvenes autores de todo el país surge este cuento sobre comestibles secos que cobran vida, induciendo a los mellizos de diez años Beto y Julia a salir en busca de agua y compartiendo con ellos la aventura. Las lecciones recibidas en el camino ayudan a todos a aprender más sobre la conservación de uno de los recursos más valiosos de la tierra. Auspiciado por Ewing Irrigation, este entretenido libro es una valuable herramienta para la educación de los niños, y hasta de los adultos, sobre la importancia de la conservación del agua. President Lincoln falls asleep on the train heading to Gettysburg and wakes up in modern-day Springfield, Illinois. 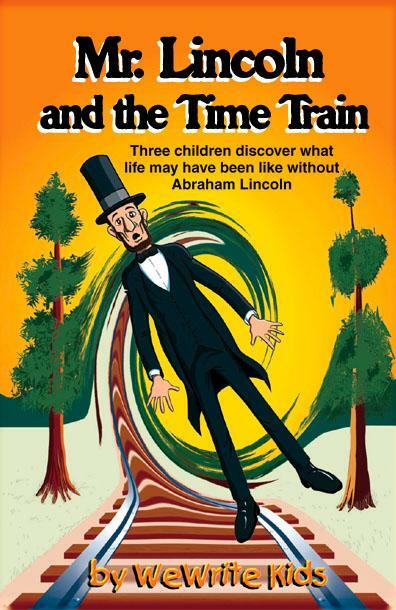 Three smart kids realize the importance of Abraham Lincoln's role in history. See how different our lives might be without his influence. But can they help him go back in time? Join Ryan, Jennifer, and Angela as they try to help a true American hero fulfill his destiny!